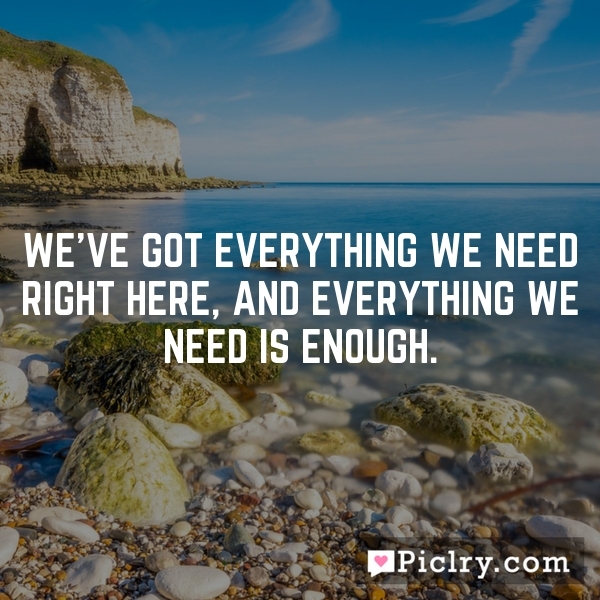 We've got everything we need right here, and everything we need is enough. People who don’t travel cannot have a global view, all they see is what’s in front of them. Those people cannot accept new things because all they know is where they live. Sometimes your joy is the source of your smile, and sometimes your smile is the source of your joy.